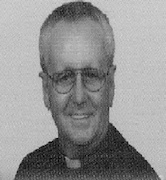 Summary of Case: Terence McAlinden was ordained a priest of the Trenton diocese in 1967. He did parish work for several years in Sayerville and Trenton before becoming Director of the diocese's Catholic Youth Organization, a position he held for almost two decades. The CYO was headquartered in Keyport. In 1988 McAlinden was assigned as pastor to St. Theresa's in Tuckerton. The parish moved to a building in Little Egg Harbor in 2006. In September 2007 McAlinden was removed from active ministry after an allegation surfaced that he had sexually abused a boy in the 1980s and 1990s, beginning when the boy was age 13. In 2011 two other men alleged publicly that McAlinden sexually abused them as teenagers, one in 1969 and the other from 1980-1985. This accuser said his abuse was reported to the diocese in 1989, and that he received a settlement in 1992 and was made to sign a confidentiality agreement. Diocesan officials claimed in 2011 that there was no record of this. In October 2014 the diocese settled a lawsuit with a fourth man who claimed McAlinden sexually abused him over a three-year period in the 1980s, beginning when the man was 14 years old. McAlinden died February 6, 2015. 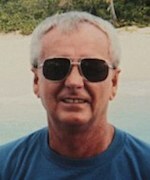 Trenton bishop was George William Ahr (1950-1979). • McAlinden was accused in 2011 of sexually abusing a 14-year-old altar boy in the late 1960s. McAlinden's accuser said the abuse occurred in the rectory of Our Lady of Victories. NJ 2/2 Our Lady of Victories had a school with 566-466 students. 1971 1973 Incarnation Trenton NJ 4/4, 3/3 In residence. Incarnation had a school with 665-630 students. Ahr was succeeded by John Charles Reiss (1980-1997). • McAlinden was accused in 2007 of sexually abusing a boy beginning in 1985, when the boy was 13 years old, and continuing for more than a decade. His accuser said he met McAlinden in 1985 at a CYO retreat, and that the abuse began on the priest's boat not long after. He said some of the incidents occurred during trips to Delaware, Connecticut, New York, Atlantic City and the Virgin Islands. • In a 2011 news conference a 43-year-old man accused McAlinden of sexually abusing him when he was a boy, from 1980-1985. He said the abuse occurred at two youth camps, on McAlinden's boat, and in the priest's parents' home. McAlinden's accuser said, too, that he reported the abuse to the diocese in 1989, received a settlement in 1992 and was made to sign a confidentiality agreement. He said diocesan officials begged him not to go to the police. The diocese said in 2011 that there was no record of the man's 1989 report. • McAlinden was accused in a lawsuit settled in Oct. 2014 of sexually abusing another boy over a three-year period in the 1980s, beginning when the boy was 14 years old. The boy was a parishioner of St. Joseph's parish in Keyport; the diocese's youth group headquarters, Jeremiah House, was in Keyport. The priest is said to have asked the boy to help him out at Jeramiah House, and that the abuse occurred there and on McAlinden's boat, in the priest's Keyport home, his parents' house and in his van. NJ Director The title "Catholic Youth Organization" is no longer used after 1986. The 1987-1988 Directories show McAlinden as Director of the Office of Youth Ministry and Director of Young Adult Ministry. He was Director of the Office of Youth Ministry only 1988-1989. John Mortimer Fourette Smith replaced Reiss as Trenton bishop (1997-2010). 2007 St. Theresa's Tuckerton/Little Egg Harbor NJ 1/2, 1/1 St. Theresa's had a CCD program with 798-575 students. The parish was moved from Tuckerton in 2006 to a new building in Little Egg Harbor. This was a mission of St. Theresa's in Tuckerton. McAlinden was placed on leave in Sept. 2007 after an accusation surfaced that he sexually abused a boy in the 1980s and 1990s. Smith was succeeded by David Michael O'Connell, C.M. (2010-). In February 2011 McAlinden was said to be living in a house near St. Theresa's and working as a real estate agent. McAlinden died February 6, 2015. This assignment record collates McAlinden's career history as it is represented in the Official Catholic Directory with allegations as reported in the media. We make no representation regarding the truth of the allegation we report, and we remind our readers that the U.S. legal system presumes that a person accused of or charged with a crime is innocent until proven guilty. Similarly, individuals who may be defendants in civil actions are presumed not to be liable for such claims unless a plaintiff proves otherwise. Admissions of guilt or liability are not typically a part of civil or private settlements. For more information, see our posting policy. This assignment record was last updated on November 12, 2015.